This guide explores 50 walks in the highest and wildest regions of Sardinia. The island lies in the Mediterranean, off the west coast of Italy and south of Corsica. It has long attracted visitors to its beaches, but what of the walking? This guide unlocks the remote and secret potential of the island's mountains and coastline away from the bustle of the resorts. The walks described in this guide uncover the cliff coastline of Ogliastra, and the mountainous inland areas of Supramonte and Gennargentu. It is only in recent years that these areas have become walkable with the paths being cleared and waymarked. Now the rugged beauty of the coast and the macchia-covered hillsides and rocky mountain summits are waiting and ready to be explored. This guidebook is an ideal companion to exploring the wild, mountain potential in Sardinia. 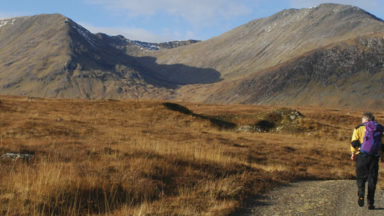 The routes range from shorter, easier rambles to more challenging walks, ensuring that there are routes for all abilities. As well as detailed route descriptions, the guide includes practical information on travel to and around Sardinia, language and currency, accommodation, mountain safety and details on the many sights along the way. All routes are illustrated with sketch maps and spectacular photography. Information on the historic and cultural sights of Sardinia you can expect to see, from the megalithic, to Roman to the present day. 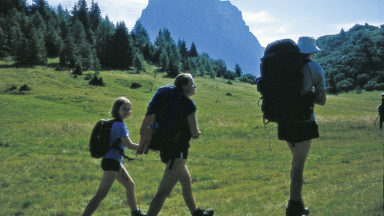 Many of the routes can be adapted and joined together, providing the walker with all the tools to create their own itineraries. Appendix C - The Lemon House - Peter Herold and Anne McGlone have retired from running The Lemon House. The new proprietors, Riky Felderer and Elena Congia, are both enthusiastic outdoors people who are continuing to operate the business on the same lines as before. Contact details are unchanged. Walk 6 - There is no longer parking available at Su Liddone. However, drive further along the road as the 'broken bridge' has now been replaced by a concrete bridge called Ponte Sa Barva. Cross it and turn right, then park beside the track. Walk along the track, passing a turning on the left, to reach another left turn where there is parking available and a wooden sign details entry charges to Tiscali. The path to follow is clearly marked with red/white paint marks on rocks. The route is now approximately 2km (1¼ miles) shorter than described in the book. Walk 10 - The streambed below Coile Sa Tuvera is around 600m, rather than 550m. After leaving Coile Su Monte Istagiau, the path climbs, then before it descends as described in the book, there is now a well-worn path heading to the right. 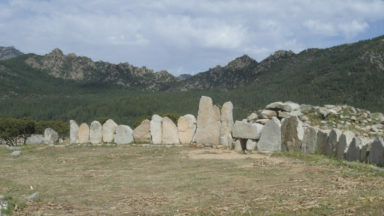 If this is followed, it is possible to reach the nuraghic village of Os Murales from the opposite site to that described in the book. Using this path would avoid having to retrace steps a short distance after visiting Coile Su Monte Istagiau. Walk 21 - The sign for Su Runcu Nieddu has gone, but there are a couple of signs pointing the way back to Santa Maria. Walk 24 - There is now an entry charge of €6 per person to access the popular walk to Cala Goloritzè. Walk 29 - Some signposting has been done along a number of paths close to Perda Pera. This guidebook, like Sardinia itself, comes highly recommended. We took this trusty guidebook with us on a recent trip to Sardinia, and it certainly proved its worth. While Sardinia is an island full of natural beauty, it has somehow remained somewhat off the radar of the trekking public, meaning that is devoid of the legions of walkers that you find in other areas around Europe, and particularly the Alps. 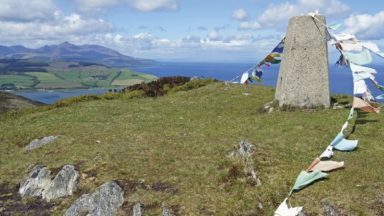 The island does see a fair amount of outdoors-loving tourists (walkers and climbers in particular). but still remains unspoilt and relatively quiet, as well as being fantastically rugged and wild. When we went in December, it was extremely quiet, although the hiking conditions were great - dry, not too hot and certainly not too cold. While we did find some waymarked trails, we also enjoyed some more off-the-grid hiking as well. This book offered plenty of great hikes around our base in Cala Gonone, whether heading into the mountains, or a hike along the cliffs bringing you to secluded beaches. The guidebook gives you the information that you need, noting important vantage points. This is particularly useful even on marked trails as some markers are difficult to spot or widely-spaced apart; some trails remain unmarked. We learned very quickly how important it is to remain focused, as to not get turned around. 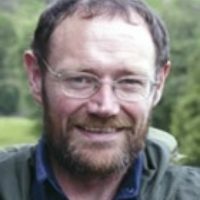 Paddy Dillon (the author) uses a palmtop computer to write as he hikes which is evident in his detailed and accurate descriptions. The book includes some simple maps, but lacks detailed topographical maps that are sometimes found in Cicerone books. 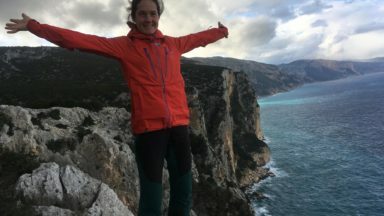 This felt like a fair omission though, as hikers should definitely be taking out a full map out on the trails in Sardinia, in addition to the guidebook (Dillon kindly lists the appropriate map in the information box for each hike). Sardinia’s intricate network of paths has long been unknown to the millions of visitors who flock to the island’s beaches. 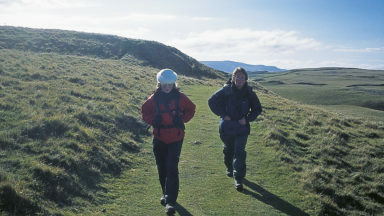 But for those who venture off the beaten track they offer a wide range of challenges and a long sunny walking season. This guidebook covers the highest and wildest parts of the island including the rugged Ogliastra coast, the barren Supramonte and the Genergentu mountains further inland. Much of the mountain walking is tough with some scrambling. The photographs are mostly by the author and show his love of the island and the amazing landscape that this island has to offer. Another island to add to the list of must do’s.